Windows 10 build 15046 is now available for download. The latest insider build is currently released for Fast Ring Insider members. The latest build brings few new features, bug fixes, and other improvements. Recently, Windows Team released build 15042 for PC and build 15043 for mobile devices. Check out the complete list below. Color of Cortana’s home on the taskbar: The color of Cortana’s home on the taskbar is back to the color it was before. Windows Defender Improvements: Windows Defender Security Center has added a notification icon to the notification area so you can see your protection status at a glance. You can also easily launch the app from the notification icon. Windows Defender Antivirus notifications also now lead to Windows Defender Security Center when clicked. Also: Windows Defender Security Center can now be launched directly from the Settings app and the “App and Browser” page is now functional. Improved translations: With this Windows 10 build 15046 there are improvements – particularly in OOBE and for some of our newer settings, but across the system as well. Updated Gaming Settings icon: The Gaming icon in Settings to feel more inline with the other icons on the Settings home page. When you choose either of the Store options, you’ll see a warning when attempting to install a non-Store app. The warning will direct you to the Store where you can download an alternate app if available. In some cases, when there’s already an equivalent app in the Store, the warning will provide a link to that app. This is an opt-in feature, and the default setting is to allow installation of apps from anywhere. Fixed the issue causing a small percentage of PCs to fail to update to recent builds due to a corrupt registry key. Fixed the issue causing Microsoft Edge and/or the taskbar to stop responding requiring you to open Task Manager to restart explorer.exe. After updating to a new build, we’ve updated the text on the welcome screen to say “Might take several minutes” instead of “Might take several minutes or so”. Thanks to everyone who sent feedback on how the original phrasing was overly casual. Cortana’s background is now black instead of the previous gray. Fixed an issue in tablet mode where, with certain DPI levels, Start tiles would render on the first launch of Start after entering tablet mode but on subsequent launches would appear blank. Windows 10 build 15046 fixed an issue resulting in Shift+F10 not working to open context menus for websites displayed in Microsoft Edge. Fixed an issue in Microsoft Edge where using the left/right arrow keys might sometimes unexpectedly result in forward/back page navigation. Fixed an issue resulting in copy failing the first time you tried to copy a password from the LastPass extension in Microsoft Edge to a website. Fixed an issue resulting in the Microsoft Edge app window being unexpectedly slow to follow your mouse when dragging it around the screen. Fixed an issue in Microsoft Edge where, after opening a link in a new tab, tooltips might start drawing behind the Microsoft Edge window instead of on top. Fixed an issue that could result in input no longer working in a particular Microsoft Edge tab after tearing it away to make a new window. Fixed an issue resulting in Microsoft Edge launching on pen click when that was the configured pen click action in Pen and Windows Ink Settings. Fixed an issue resulting in Microsoft Edge sometimes unexpectedly crashing when deleting characters typed using an IME (for example, the Japanese IME, or the MS Pinyin IME). Windows 10 build 15046 fixed an issue resulting in drag and drop (for example, into an Outlook 2016 email) sometimes not working on PCs with multiple monitors where the two monitors have different DPIs. Fixed an issue where the icon for Windows Insider Program under Settings > Update & security was shown as a square. Fixed an issue where all windows on a PC using multiple monitors would move to the primary monitor after remoting into the machine from a single monitor remote desktop session. Fixed an issue resulting in Storage Sense in Storage Settings failing to purge the recycle bin with certain machine configurations. Fixed an issue resulting in an unexpected and unnamed 0 byte item listed under Manage Optional Features in Settings. Windows 10 Creators Update build 15046 fixed an issue where PC Reset wasn’t working on the last flight, the PC would boot to a blue screen saying that there was a problem resetting your PC. Fixed an issue resulting in being unable to mount an ISO with the sparse file attribute set. Fixed an issue where handwriting text candidates might stop working properly after using strikethrough to erase words written in the handwriting panel. Fixed an issue resulting in the Korean IME’s composition indicator unexpectedly not appearing when typing jamo into certain text fields. Fixed an issue where app updates in the Store may fail with error code 0x8020002B. Fixed an alignment issue with entries on the Sign-in options Settings page. Fixed the issue causing the Microsoft Edge F12 Developer Tools to intermittently crash, hang, and fail to accept inputs. If you continue to have issues with the F12 Developer Tools. Fixed the issue where pressing F12 in Microsoft Edge multiple times invokes multiple F12 windows (all but one are non-functional). Fixed the issue where toggling F12 between the docked and undocked state repeatedly can crash Microsoft Edge. ADDED: Insiders with multiple monitors may encounter an issue where one of the monitors stops rendering (with the exception of the mouse). While rebooting will fix it, you can also resolve the issue via Settings > System > Display under the Multiple displays section, set it to only use the monitor that’s functional, then set it back to “Extend these displays” and the issue should be resolved. ADDED: Some Insiders are reporting getting 0x80070228 error when attempting to download this build. Official Windows 10 build 15046 ISO is currently not available. However, we will post more details about the Windows 10 Build 15046 ISO. 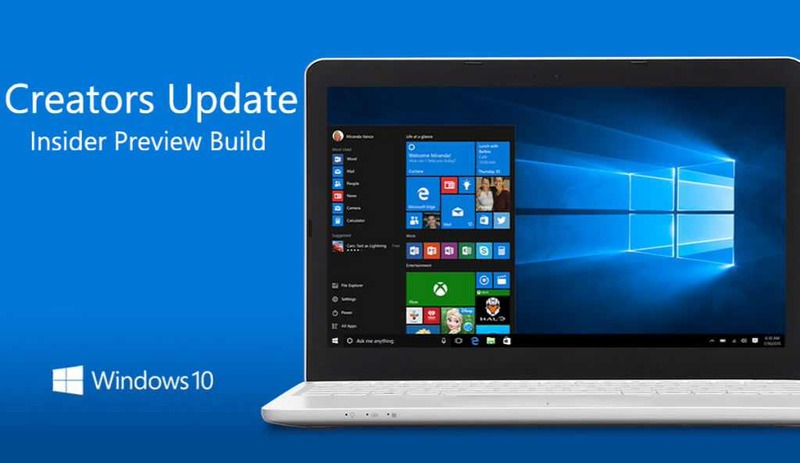 Meanwhile, official Windows 10 build 15042 ISO images are now available for download. You can download ISO from here. If your Windows 10 build 15046 download hangs, stuck at 95% and other issues, check here for workarounds.